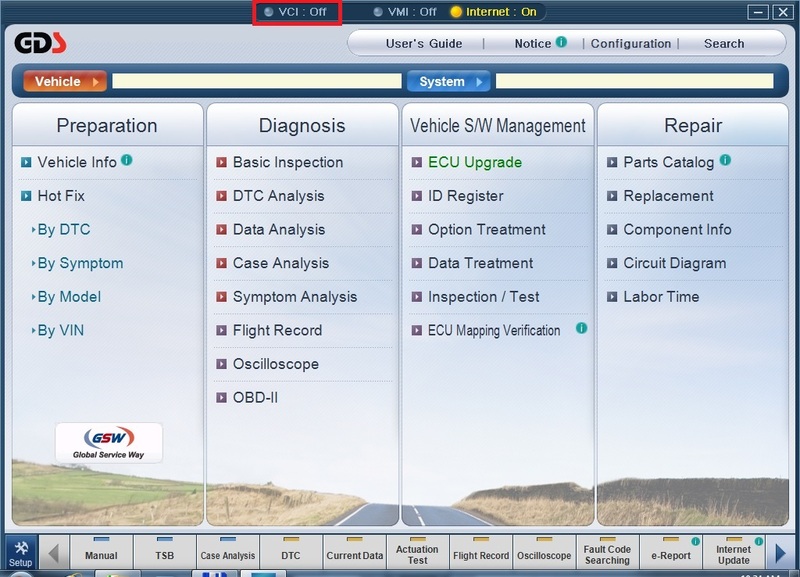 VCI is not recognized on WINDOWS 8.1/10(64bit). 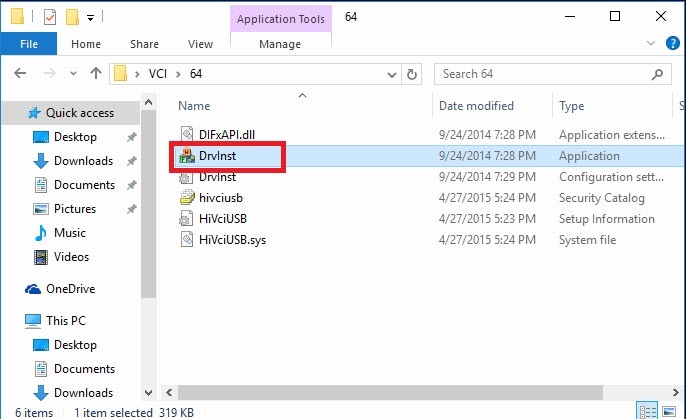 VCI USB driver for WINODWS 8.1/10(64bit) should be installed. 3. 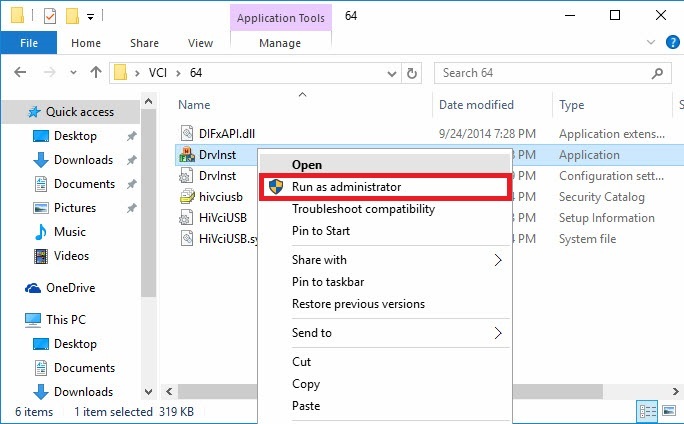 Go to [VCI\64]folder and click DrvInst.exe on right mouse button as below. 4. Click [Run as administrator]. 5. 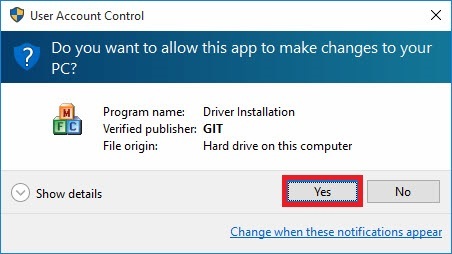 Click [Yes] button to install. 6. VCI driver is being installed.